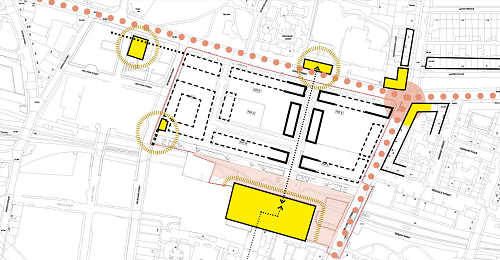 These draft notes are published with the intention of sharing and feeding information back to the public as fully and as quickly as possible. 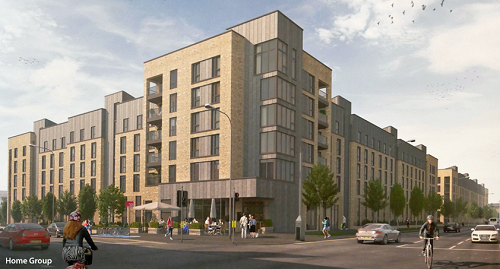 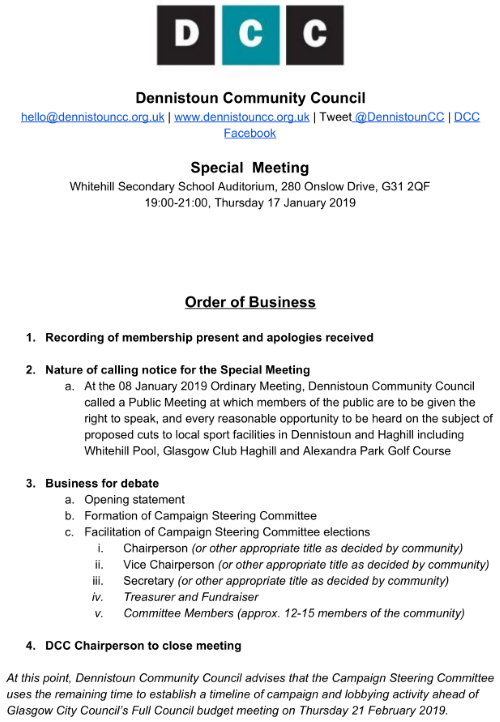 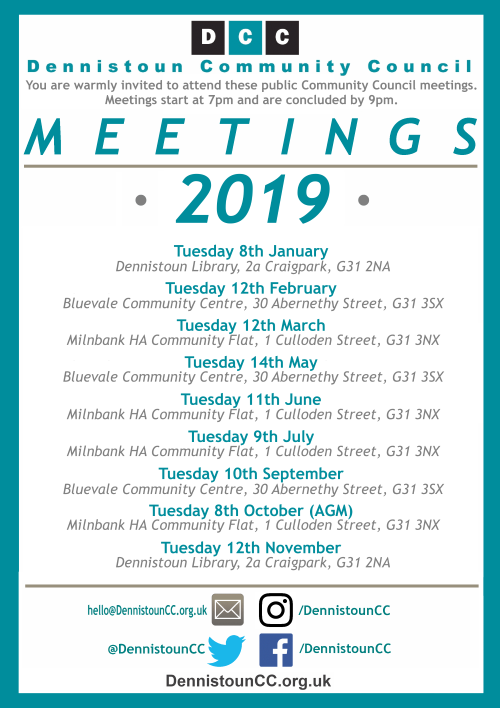 They were taken at the Dennistoun Community Council (DCC) meeting held on Tuesday 8th January 2019 at Dennistoun Library, 2a Craigpark, Dennistoun G31 2NA from 7pm, providing an indication of the topics discussed and opinions heard under agenda item ‘7a – Public Input – Local Leisure Amenities‘. 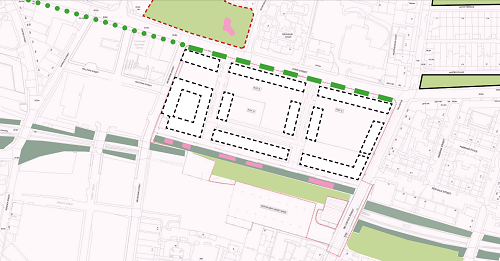 There have been news reports, social media discussion, and an online petition relating to a leaked report about an apparent costings exercise carried out by Glasgow City Council. 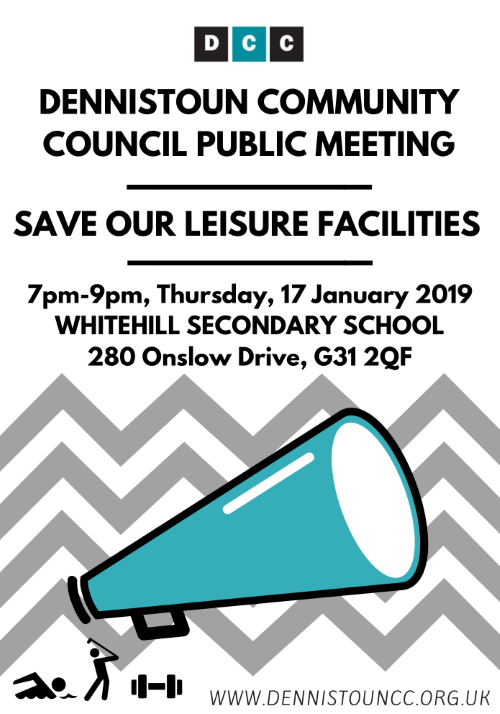 This is said to include consideration of the closure of leisure facilities across Glasgow, with Whitehill Pool and Leisure Centre among the facilities identified for potential closure.